Skype is Microsoft’s instant-messaging app that millions of users utilize for videoconferencing and calls. Now the big M has announced that it will discontinue the older Skype 7.0, otherwise Skype Classic, from September 2018. Thus, Skype users will have no choice but to update the desktop app to the latest Skype 8 version. We are encouraging everyone to upgrade now to avoid any inconvenience as only Skype version 8.0 will work after September 1, 2018. As we roll out improvements, there comes a time when we must shut down older services and application versions. So, if you’re utilizing Skype Classic, now might be a good time to update it. Note that the latest Skype 8 version is compatible with Windows 10 versions from version 1607 (Anniversary Update) on. So if your Windows 10 version predates 1607, you’ll also need to update the platform for Skype 8. Updating the Skype app is straightforward enough. Simply click Help at the top of the window, and then select Check for Updates. Alternatively, you can uninstall Skype Classic and then install Skype 8 by clicking Upgrade for Free on this webpage. Microsoft also provided further details for the latest Skype version on its blog post. The latest Skype 8 will support high-definition video. It will include a handy Chat Media Gallery where you can store media clippings. The latest version will enable users to share files up to 300 MB. 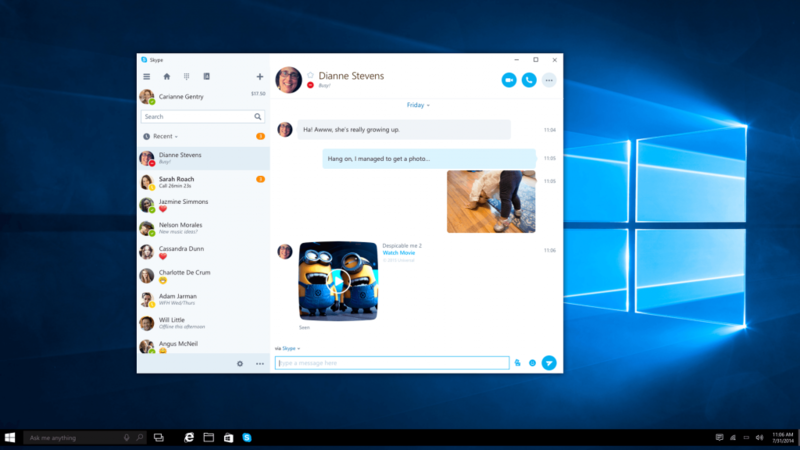 In addition, Microsoft told us a little more about some of the new things it plans to add to Skype over the summer. The planned features include cloud-based call recording. Microsoft also plans to add group links and profile invites to Skype. Furthermore, the company confirmed that it will launch Skype 8.0 on the iPad. So, Microsoft certainly has plenty more in store for Skype 8 at least. However, the software giant no longer has any time for Skype 7. For further details for updating Skype, check out this post.